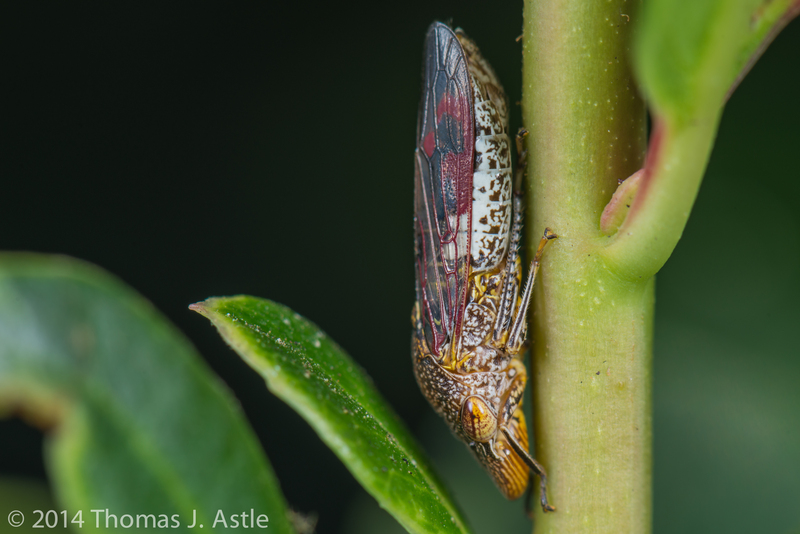 This odd-looking, colorful little critter is called a glassy-winged sharpshooter. It’s a little less than half an inch long, and it feeds on plant juices. These insects are found in the southeastern United States and northeastern Mexico, but apparently in the 1980’s (like me) they showed up in Southern California — where (unlike me) they had no natural enemies. In the oft-told tale of invasive species (see also: cane toads in Australia, mongooses — mongeese? — in Hawaii, and the-sun-never-sets-on British Empire), they quickly overran the place. We tend to think of invasive species as coming from somewhere much further away — it may seem odd that California can be “invaded” from the East Coast. On the other hand, we’ve always been a magnet for tourists. Anyway, these bugs turned out to be a vector for a grape-vine-killing bacterial disease, threatening an entire agricultural sector, not to mention endangering your evening glass of vino. From California, they then spread all over the Pacific, from Hawaii to Tahiti and even Easter Island. In some places they reached plague levels, until the introduction of a tiny parasitic wasp that lays its eggs on the sharpshooters’ eggs, which the wasp larvae eat. So give thanks for a tiny wasp — slayer of sharpshooters and savior of Sauvignon. To celebrate, I suggest a glass of (California) wine.